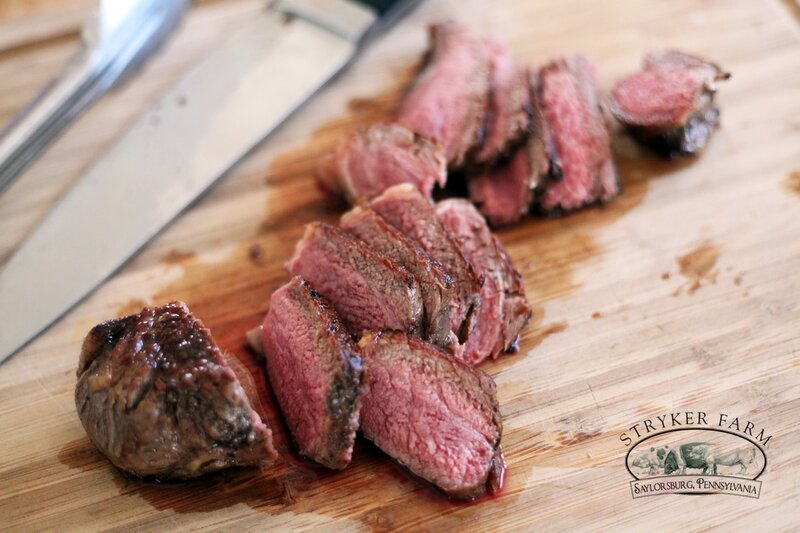 Enjoy a NY Strip in any state! This meal contains a variety of flavors and textures. It begins with a smooth and creamy parsnip, a bitter green and ends with a sumptuous steak. Take out the steaks and let them get to room temperature. Cover them with salt and pepper. Prep the kale by removing the leaves from the stems. You can easily do this by using your forefinger and your thumb at the base of the leaf and running them up the length the leaf - like pushing a bead off a string. The leafy part pops right off! Cut the leaves into inch long pieces. Rinse the kale leaves in a colander. This helps wash away some of the bitter enzymes that are released after you cut them. 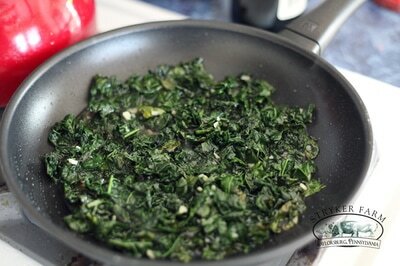 Add the minced garlic into a pan with a glug of oil. Saute the garlic until it's fragrant and lightly browned. 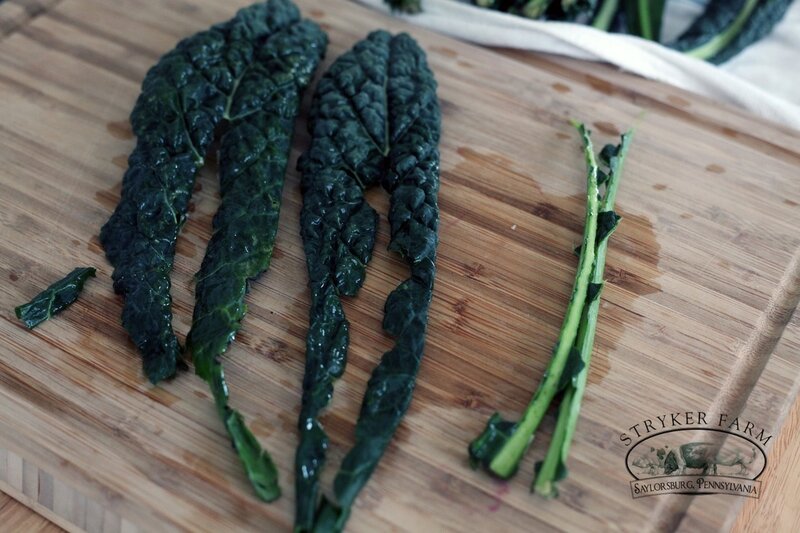 Add the chopped kale. Stir the leaves in and allow the leaves to get coated in the oil. 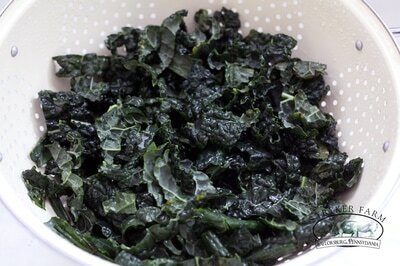 Cook down the leaves until they're very soft and tender about 20 minutes. Add a splash of Madeira at the end, stir, and allow it to cook off. In the meantime peel and chop the parsnips into half inch chucks. 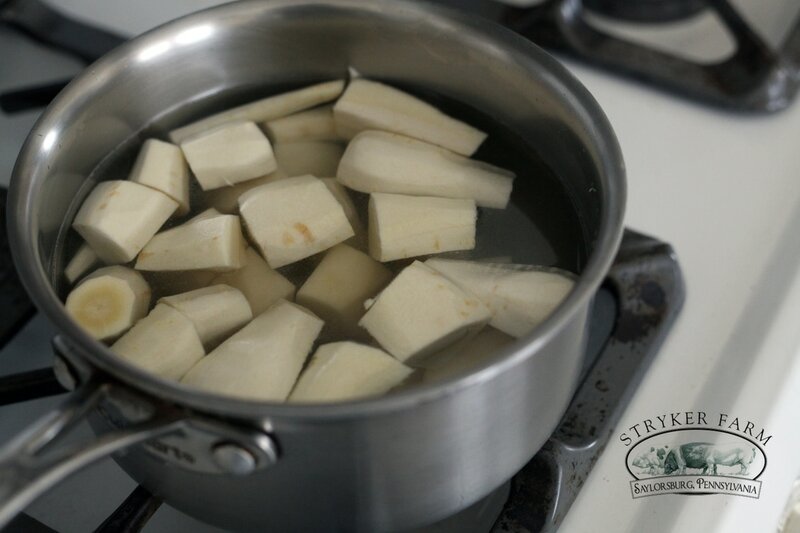 Place in a small pot and fill it with water until the parsnips are just covered. Bring the water to a boil. Cook them for 15 minutes until fork tender. 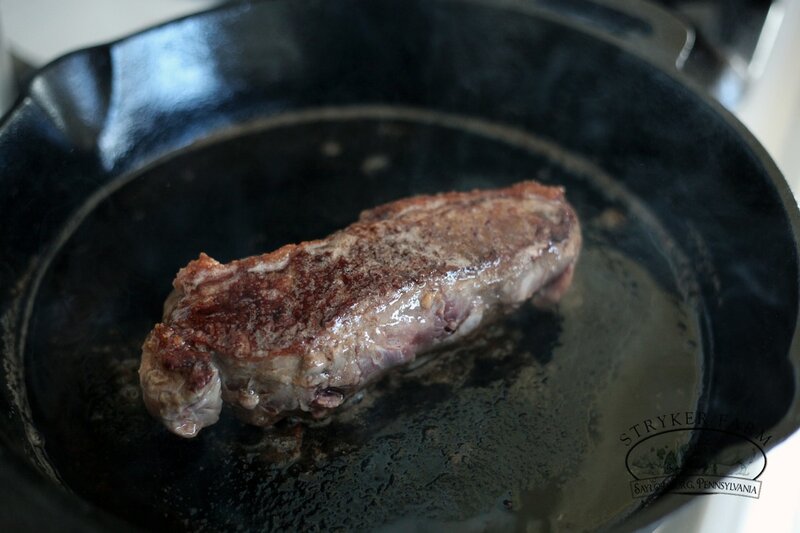 Warm up a non-stick skillet with a TBSP of olive oil until it starts smoking. Lay the steaks in the pan and sear each side for 4 minutes a piece. 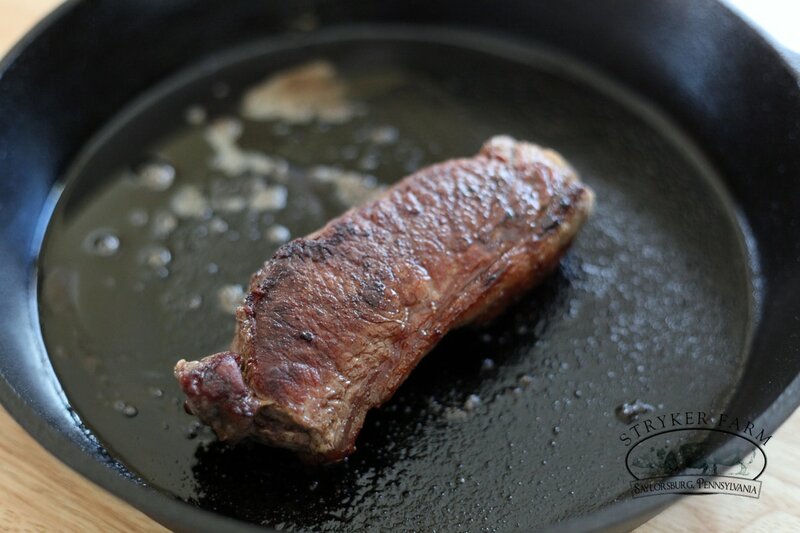 ​Cover the pan and allow them to rest for at least 10 minutes. Drain the water of the parsnips. Add the butter and milk and return to the stove top on low heat. 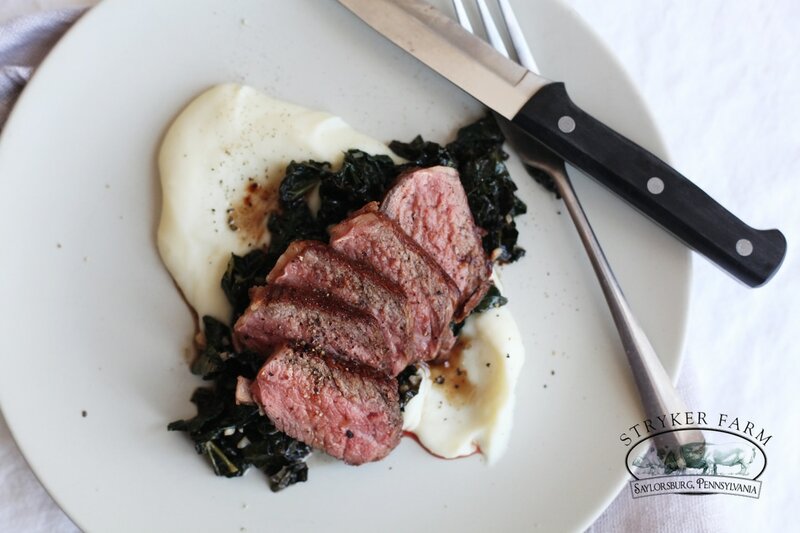 Use an immersion blender to whip into a creamy consistency. Add salt and pepper to taste. 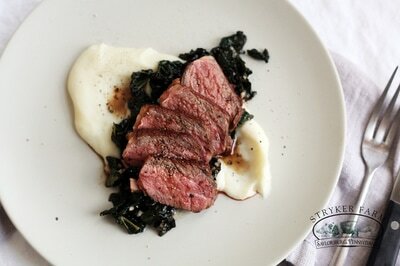 Artfully layer the parsnips under the greens and the sliced steak.